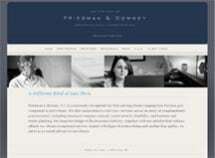 Friedman Law Firm, P.C., is a Birmingham, Alabama, law firm with strengths recognized statewide and nationally in complex legal areas including Social Security disability claims and appeals, veterans' disability claims and appeals, wills and trusts, special needs planning and insurance company counsel. Led by founding partner Douglas I. Friedman and shareholder Heather C. Downey, experienced attorneys with strong credentials and specific areas of focus provide personal, attentive service and results-driven representation for individuals, families and business clients. Lawyers and professional staff at this Alabama-based law firm possess extensive knowledge of the steps required to obtain financial benefits for those who qualify for Social Security Disability Insurance (SSDI), Supplemental Security Income (SSI) and disability compensation and pension benefits available through the U.S. Veteran's Administration (VA). This includes extensive representation of people suffering from disabling physical and mental conditions, including military veterans afflicted by post-traumatic stress disorder (PTSD) and disabilities caused by Agent Orange exposure. Friedman Law Firm provides a full range of wills, trusts and other estate planning services and solutions crafted to suit clients' family situations and financial objectives. Sound, resourceful special needs planning for disabled and incapacitated individuals' futures is a specific strength, with special needs trusts and other vehicles effectively structured to provide lifelong quality care and security while protecting access to Medicaid and other government benefits. The lawyers of Friedman Law Firm, P.C., publish, educate, practice and consult widely on current issues in Social Security Disability Insurance, veterans' disability claims, estate planning, and business law as it relates to insurance and benefit plans. Their mission is reflected in the phrase, "What we say equals what we do," on behalf of clients who benefit from honest, informed counsel and decisive action to accomplish their goals.